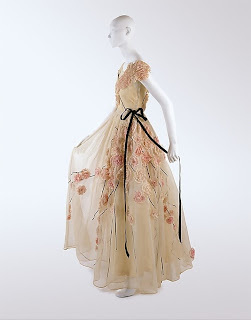 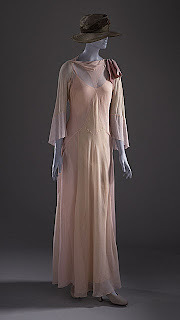 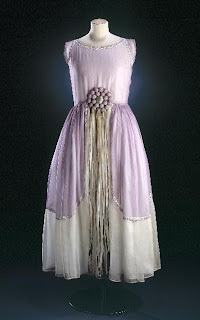 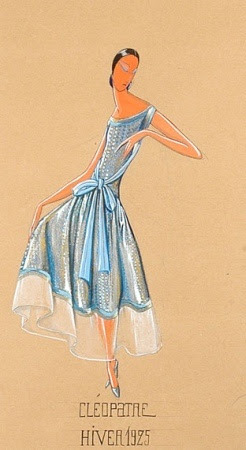 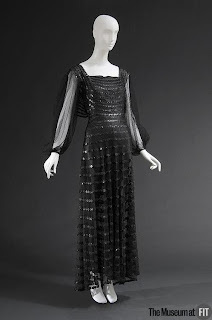 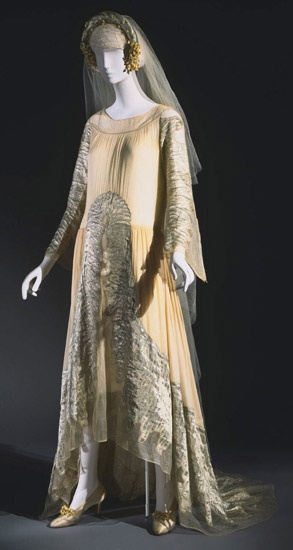 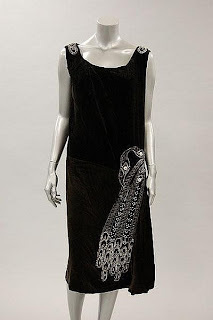 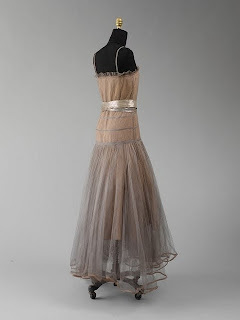 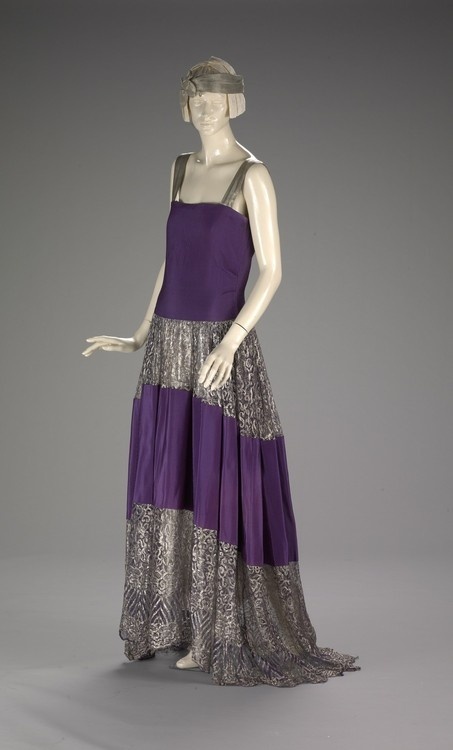 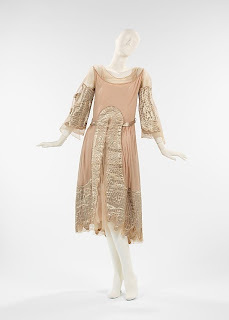 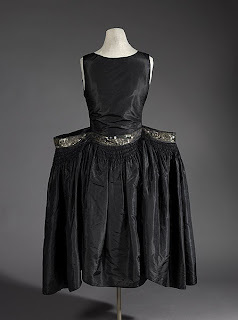 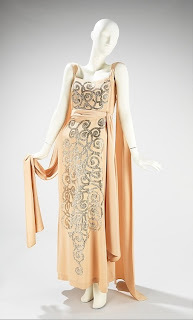 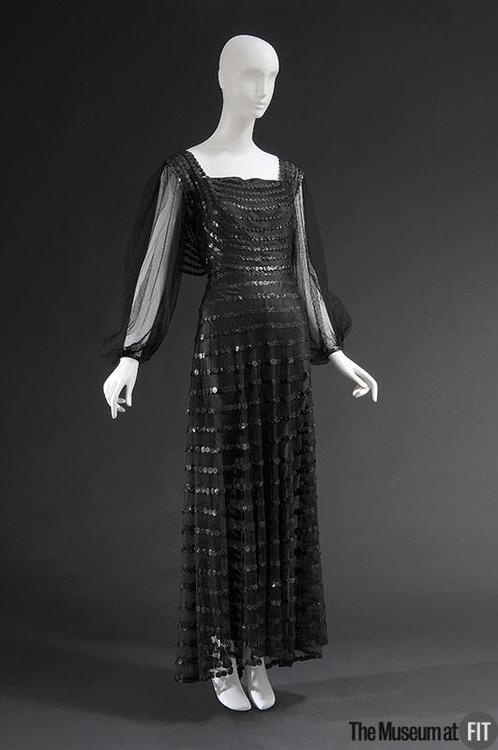 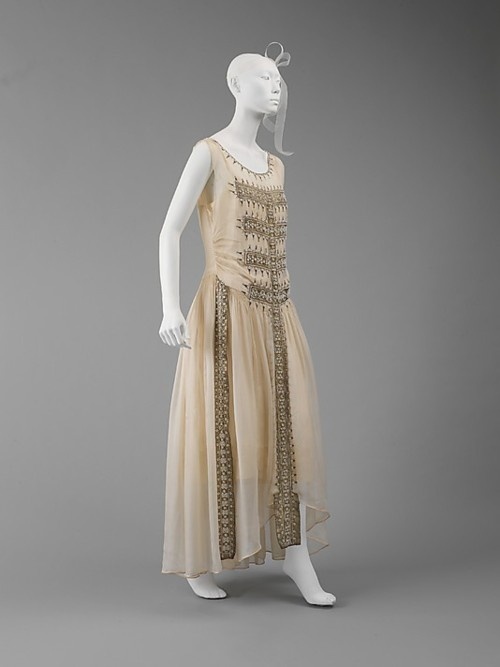 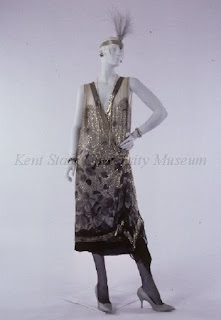 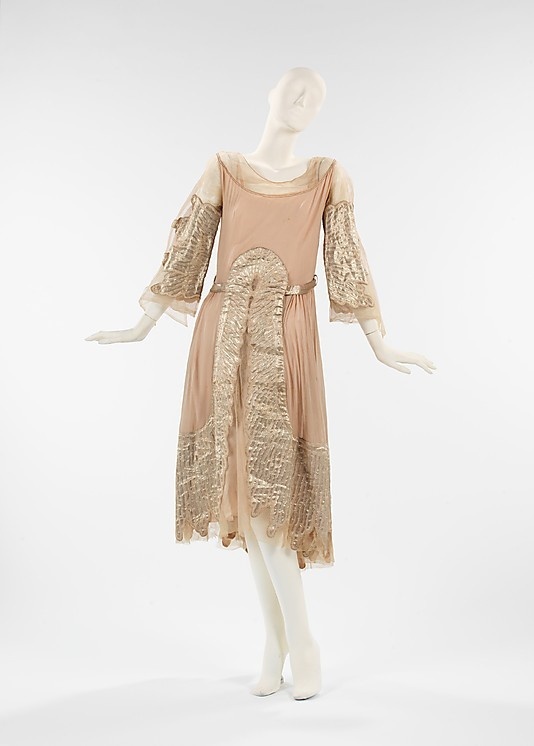 One of the most influential designers of the 1920s and '30s, Jeanne Lanvin's was easily recognizable by her skilful use of intricate trimmings, virtuoso embroideries and beaded decorations. 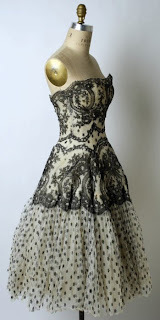 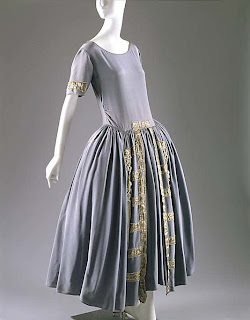 The fabrics that she used were silk, taffeta, velvet, silk chiffon, organza, lace, tulle, etc. 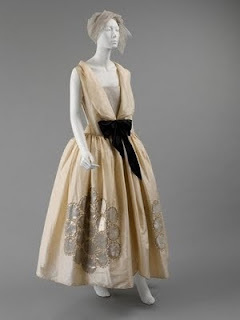 She used a lot of free-flowing ribbons, ruffles, flowers, lace, mirrors, etc., and liked ornamentation like applique, couching, quilting, parallel stitching, and embroidery. 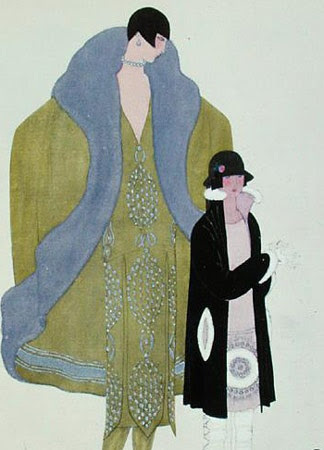 She took her first job in fashion at thirteen, making and delivering hats for the milliner Suzanne Talbot. A decade later, she opened her own first hat boutique, in Paris, in 1889. 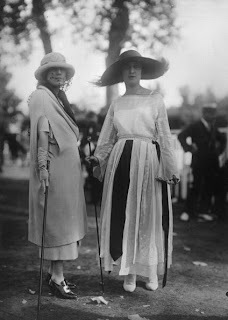 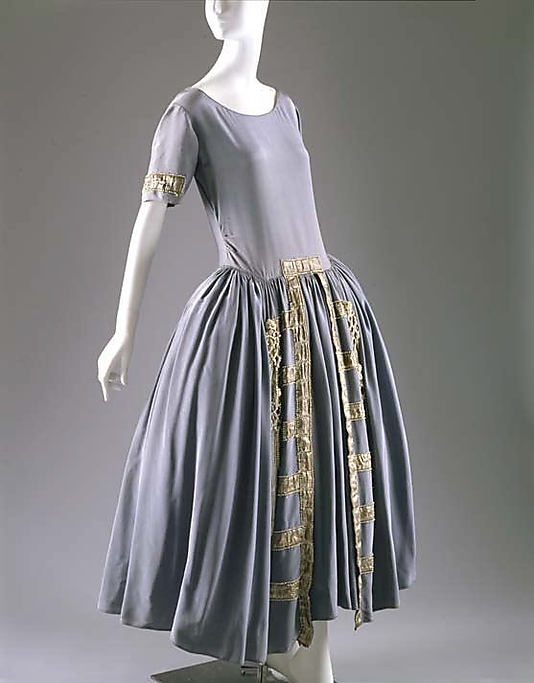 She branched into clothing design when she began creating beautifully adorned dresses for her young daughter, Marie-Blanche di Pietro (her child with Count Emilio di Pietro) that they began to attract the attention of a number of wealthy people who requested copies for their own children. 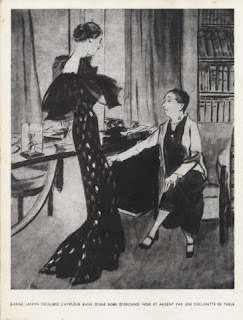 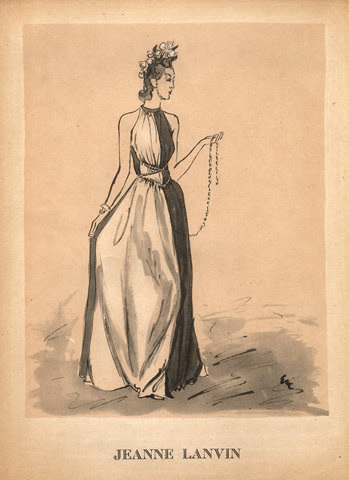 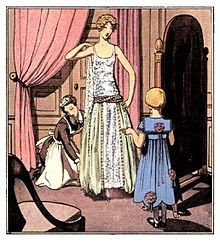 Soon grown women were charmed by little Marie-Blanche’s outfits and requested the designs for themselves. 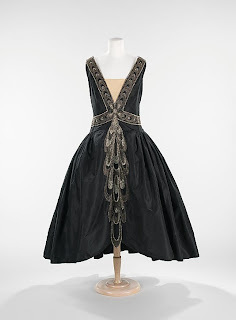 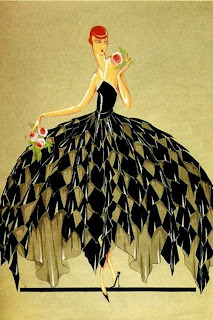 Lanvin was known for her lavish embellishments huge bows, velvet-ribbon flowers, and ruffled tiers, intricate embroidered arabesques, tiny beads and shells appeared to be printed on the fabric. She died In Paris in 1946 aged 79. Her Daughter Marie-Blanche de Polignac took over the house. 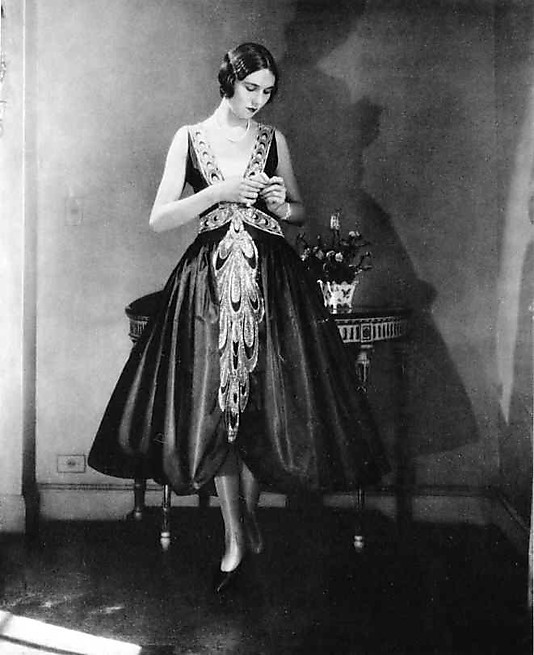 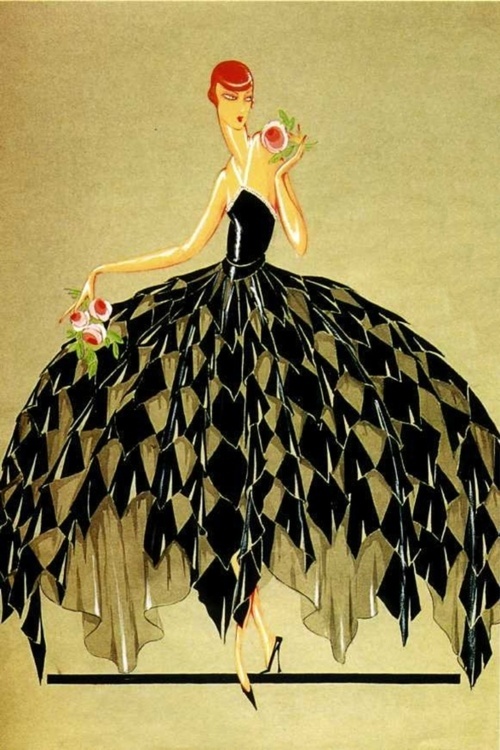 Lanvin's active fashion career spanned 50 years from the 1890's up to the New Look just after World War II. 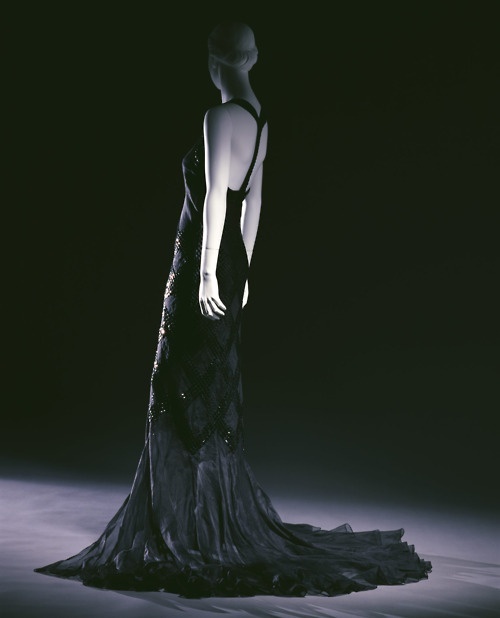 I didn't know this so far and thank you so much for telling her story and showing the impressing creations.